[Blind Gossip] We are going to correct an erroneous story that is currently running across multiple media sources. This famous movie star is expecting a baby. They got that part right. But the numbers are wrong in every story. It’s actually his FIFTH child. And, yes, each of them has a different mother. Whew! He can’t spend too much time with any given child, so at this point he may be more of a father figure than a father. No wonder our stud actor keeps working and working. He has a lot of palimony payments to make! [Optional] Do you think he and the newest baby mama will still be together in six months? The butterscotch stallion, Owen Wilson. Clues: he was called the ‘butterball stud’ or something like that! hahahahahaha, Butterball Stud will be his nickname when he gets a little older. Butterball Stud, when did you meet my husband???? [Optional] Do you think he and the newest baby mama will still be together in six months? Probably not. Danny Fujikawa. Kate Hudson is pictured in the related blind and the news sources are saying it’s his first child ‘with Kate Hudson’. optional: no. and he should consider vasectomy. Agreed. Please. For the love of God. Get a vasectomy. Owen Wilson. Nice job of finding a Butterscotch Stallion Ace! I knew before I even read the story that it would be about Owen. He’s just planting his seed everywhere. He’ll have moved on and knocked up someone else in six months. As long as the ex, Nicole, can’t touch the money….. they should all be pretty well off in the future. I KNEW when I read that Owen Wilson was expecting his “third child” that that couldn’t possibly be right! Whoever he is, he is a stud. The butterscotch stallion himself, Owen Wilson. Because of “father figure,” I’ll say Owen Wilson. owen wilson – I doubt they are even think they are together right now so they definitely won’t be in 6 months! This has to be about Richard Gere. His new wife is pregnant and he had a very contentious divorce a few years ago, with finances being the big problem. Owen Wilson papers say third kid on the way. 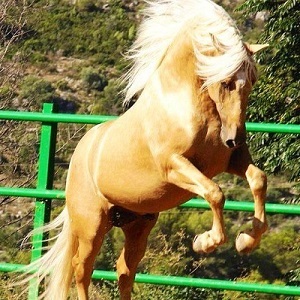 Clue – blonde mane on horse. Owen Wilson, the “Butterscotch Stallion.” Dude, wrap it up! Owen Wilson. His pee-pee is going to fall off! [Optional] Do you think he and the newest baby mama will still be together in six months? Nope. And she’s fooling herself if she thinks she will. He’s bored already, you can see it in his face. Owen Wilson, who is expecting a baby daughter with someone called Varunie Vongsvirates. The mother announced her pregnancy and Owen’s paternity on social media and declared he would be a great father figure. Clues: father figure OMG I ACTUALLY CAUGHT THIS ONE he has a movie Father Figures and I’m certain there might be another but besides that movie I haven’t seen anything with him in it in forever. Oh and the Palomino reminds me of the cowboy he played in Night at the Museum.